Texas bucks best-month-to-sell-a-house trend Texas bucks best-month-to-sell-a-house trend David S Jones Jones, D.
​May is the best month to sell a house if you live in Washington, D.C.; San Francisco; St. Louis; Denver; or Pittsburgh. Penn. 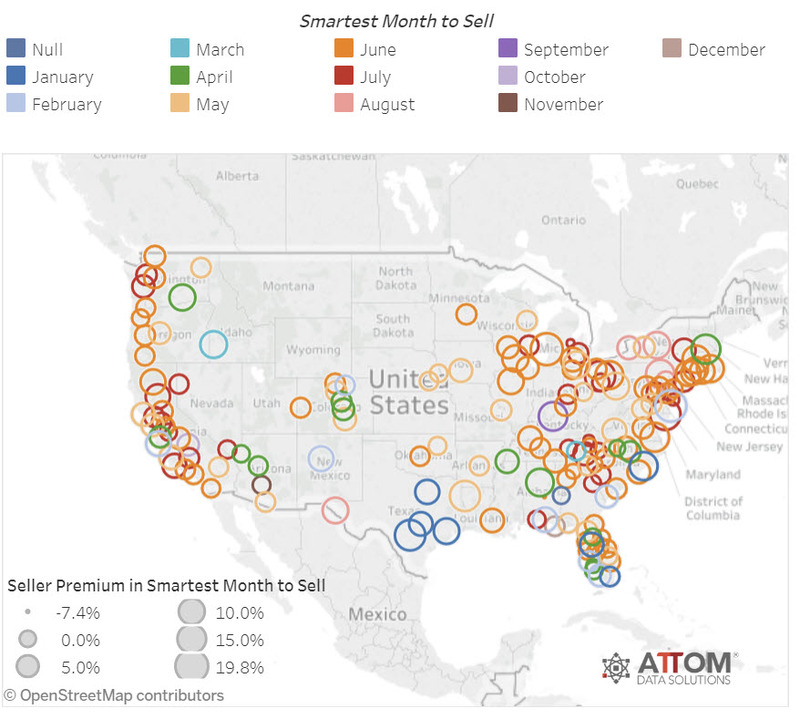 In Texas, however, January is when sellers realize the biggest premium above estimated market value. A study released today by Attom Data Solutions studied 14.7 million home sales from 2011 to 2017. The report says nationally the best day of the year to sell a home is June 28 when the average seller premium is 9.1 percent. Warm weather markets in Texas, southern Florida, and Arizona buck the trend. See the interactive heat map. January is the best month for Texas' sellers in four of the five Metropolitan Statistical Areas (MSAs) studied. Sellers in San Antonio-New Braunfels average a whopping 17.2 percent more in the first month of the year. Elsewhere, Dallas-Fort Worth-Arlington sellers receive an average 7.9 percent more that month. Houston-The Woodlands-Sugar Land sellers average 9.8 percent more while those in Austin-Round Rock average 7.2 percent. In El Paso, however, August is the most profitable month with sellers averaging 10 percent more than the estimated market value. Here's an infographic of the top five best days to sell nationally. Keep in mind, Texas is different. Why do Texas homes sell for more in January? Send your thoughts to us at info@recenter.tamu.edu​.